The Lily® is the ultimate jewel in the crown. 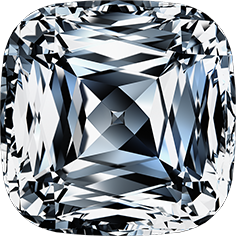 After many years of development, cutting this masterpiece diamond became possible using the most sophisticated novel technology available today. Smooth round lines characterize the 4 delicate petals of the Lily®, comprised of 77 meticulously polished facets which breath “fire” and exceptional “life” into the glistening diamond. The Orchidea® resembling the magnificent Orchid, features a gently pointed tip at the end of each luminescent petal. This breathtaking shape is built of 61 facets, perfectly aligned to create brilliance and fire. 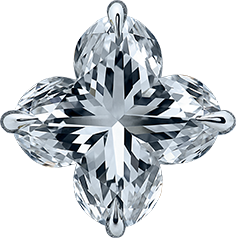 Each diamond is skillfully handled with state of the art tools to ensure the stunning effect that the Orchidea® has become known for. Mo true diamond lover can overlook this young, fresh and innovatively designed piece. Both the Lily® and Orchidea® transform the beauty of nature into graceful matchless diamonds and are exclusively available under Lili Jewelry brand. The Crisscut® 85 facet configuration is simply the most brilliant way to cut a diamond, revealing its natural beauty. The Crisscut® long crisscrossed facets stress the stone’s length, while the shorter crisscrosses give the beholder a feeling of depth. Together they bounce light off one another and give the Crisscut® diamond its patented electricity. 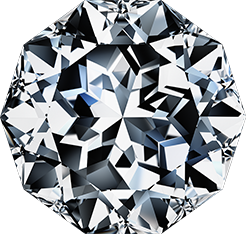 Advanced technology was used to calculate and design this diamond in order to give it its superb reflective quality and incomparable brilliance for a stone of this shape. The Crisscut® unique faceting optimizes the reflection of light, thus intensifying its brilliance. 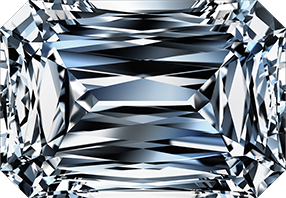 The Crisscut® Cushion’s 85 facets perfect the traditional cushion cuts by applying the Crisscut® facets configuration. Crisscut® Cushion diamonds are formed with an elegant simplicity, symbolic of a refined and expressive style fitting a one of a kind personality. The innovative internal facet design of the Crisscut® Cushion maximizes both the brilliance and fire of this modified fancy shape diamond. The Meteor Cut® was born on 10/10/10. This superb diamond cut has a decagonal shape, and its 10 straight walls are wonderfully built of 71 facets. 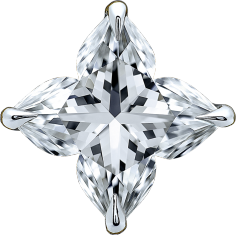 It took 10 months of diligent work and persistent attempts to overcome the technical challenges, in order to cut the diamond with flawless symmetry, each facet perfectly angled, so that it radiates dazzling brilliance. With its exceptional luminosity and endless refraction of light, any Meteor Cut® diamond is easily recognized at first glance.